Aiming for Accuracy is Finished! Yes, Aiming for Accuracy is out of the wash. I love how it crinkled up. 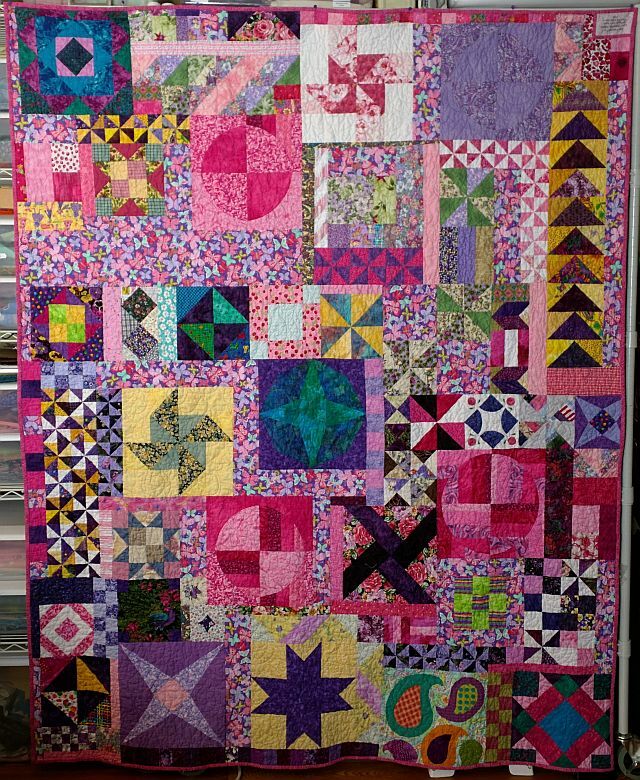 I made this as part of a quilt along in 2013 – then modified it slightly making it a tad wider. 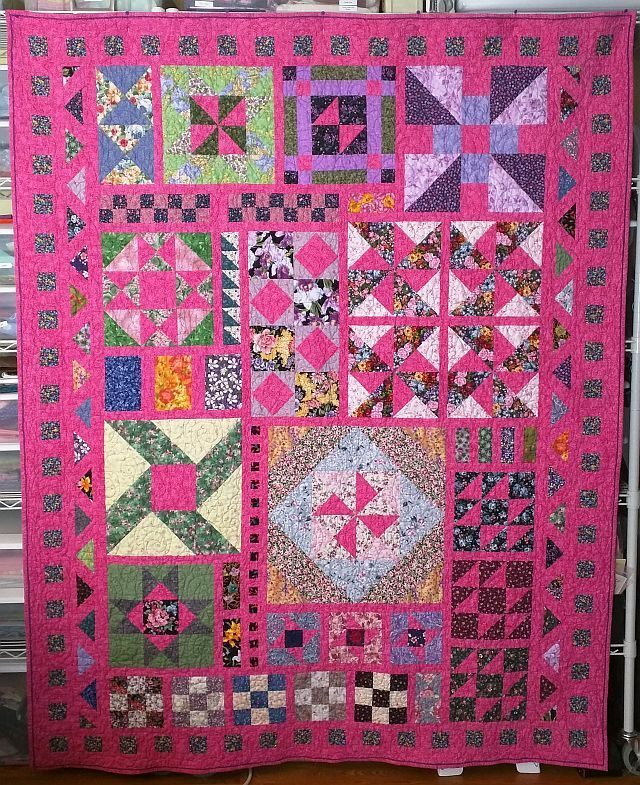 I started with the pink fabric and then used florals from my stash. Originally, I was going to just cut squares of the floral fabrics to make the backing, but I got a wild idea. Starting with the pink and purple butterfly fabric, I combed through my Orphan Block Box for pink, purple and floral blocks and block parts. I made tons of pinwheels using bonus HST and I still have bonus HST left over. Bobbin Thread: SuperBob in a light lavender – 1 + and I ran out at the end of a row! This quilt is on my list for the 4th Quarter Finish Along – I’m sending it to Aunt Marti for the UFO Parade. It’s also being sent in for the 2015 UFO Busting over at Field Trips in Fiber. It is part of the Crazy Challenge II which started August 15th. The front and back are both beautiful. You made it reversible! Who is the lucky person to get this one?